As evidenced by recent FCC and TENAA listings, Samsung is working on a stripped-down version of their popular Galaxy S8 smartphone, simply dubbed the "Galaxy S8 Lite." When the listings' contents were leaked, we got our first look at the device's design. To that end, the S8 Lite looks virtually identical to its more powerful predecessor, controversially-placed fingerprint sensor and all. As Phone Arena notes, however, the rear heart rate monitor does appear to be missing this time around. The S8 Lite's technical specifications are where the differences between the two devices become more apparent. The S8 and S8 Lite both have identical 5.8-inch screens, but the Lite's resolution will max out at 2220x1080p, a notable downgrade from the S8's 2960x1440p resolution cap. From a performance perspective, the S8 Lite will likely be noticeably slower due to its older Snapdragon 660 chip. By comparison, the S8 housed a Snapdragon 835 processor. However, storage space and battery life are both reasonable, sitting at 64GB and 3,000mAh respectively. The S8 Lite's RAM capacity sits at 4GB, the same amount the default S8 ships with. As far as the S8 Lite's camera goes, it will reportedly house a "lower-end" 16mpx lens. Early pictures of the S8 Lite's front and back hit the web earlier this week in the aforementioned TENAA listing, but additional press renders (pictured above) surfaced on Wednesday. 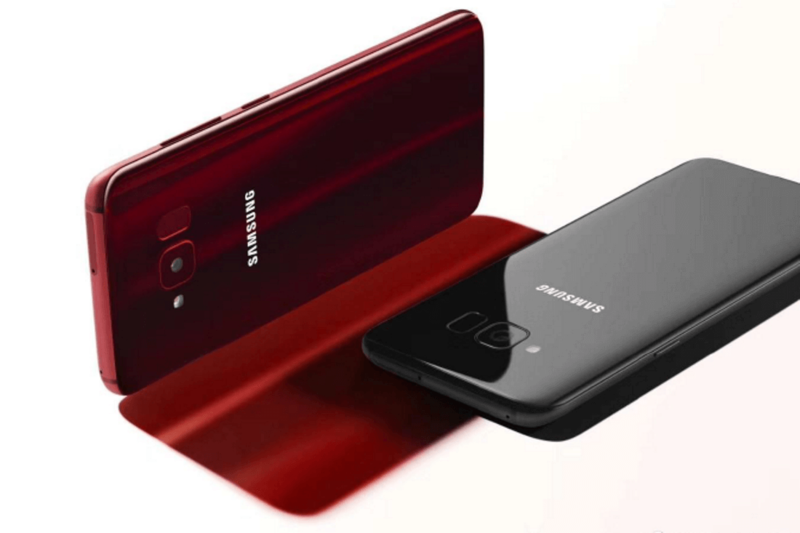 The renders reveal the phone will come in at least two colors, "Burgundy Red" and Black. If you're eager to get your hands on what will likely be a cheaper version of Samsung's Galaxy S8, you might be out of luck for now. As of writing, the company has not revealed a release date for the S8 Lite.